ELECTIONS WILL BE ONLINE THIS YEAR. The voting period will be open from April 15 to May 15, 2019 at 11:59 PM. Every two years, elections are held in Area 1 to elect people to the following positions: Chairperson, Treasurer, and Secretary. Chair-elect serves for 2 years and then moves to Chair for 2 years and ends as Past-Chair for another 2 years. This is a 6-year commitment. Treasurer of Area 1 handles all financial transactions and reports to the board regularly. The Secretary takes notes at board meetings and keeps all information filed and stored electronically. Please read all biographies and mission statements below. Two members are running for chair elect: Jennifer Stack and K. Joy Toll-Chandler. Below, you will find out more information about each candidate to inform your vote. I fell deep in love with handbells in 2012 when a co-worker invited me to join Bjallerklangen at Trinity Lutheran in Chelmsford. She said “You read music, you’re pretty musical, have you ever thought about playing handbells?” I thought I was going for a one night visit; little did I know how addictive it was, and how welcoming they would be! By 2017 I was ready to start my own choir at Saint Mary’s in Chelmsford, my home parish. The bells had been sitting locked in a closet for almost 20 years, and I made a plea at one of the masses. I now have 10 ringers and 3 octaves of bells making beautiful music! On a whim and with a little encouragement from some other ringers, I answered a Facebook ad to audition for Merrimack Valley Ringers in 2018, and I am really enjoying my first season playing with the group. I have always had a can do attitude, and learn best on the job. I feel that my experience ringing in a church based group, starting up my own group, and performing with an auditioned community group makes me an excellent candidate for Chair-Elect. My desire to learn from others and experience bringing diverse teams of people together will be an asset to Area 1. I am profoundly thankful for all the wonderful people and gifts that ringing has brought into my life, and am committed to protecting and growing this organization for the next several years and spreading those gifts to as many people as possible. I am passionate about helping the organization continue to grow and to ensure a healthy legacy so that we can continue to support area ringers. As a new ringer, I feel that I would have benefitted from more educational opportunities outside of my weekly group rehearsals and from more exposure to other groups in the community. I was 7 months into ringing before my first Spring Ring, and it completely opened my eyes to diverse styles of ringing and techniques I had never seen before. Community is what brought me to bells in the first place, and community is where I find the greatest joy in being a ringer. The act of ringing is an absolute blast, but almost even better than that are the deep friendships I have formed with other ringers in the area. I’d be interested in promoting and preserving more opportunities for ringers to gather, and I’d love to see more outreach into our areas to bring this joy to our communities. Joy Toll-Chandler has been playing and directing handbells since 2000. 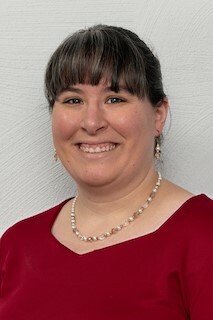 She has a Bachelors of Music degree from the Crane School of Music and a Masters in Church Music (handbell emphasis) from Concordia University, Wisconsin, where she studied with Dr John Behnke. She is delighted to be ringing with the Hockanum Valley Ringers and is learning more about solo and ensemble ringing. Joy loves the challenge of composing music for handbell choirs, and has two pieces published by AGEHR. She is also accredited as a faculty instructor for Level 1 Handbell Certification for both Theory and Conducting. For the last 10 years, Joy worked in music and worship arts at churches in Florida, leading both vocal and handbell choirs, but she has now “returned home” to New England. Joy is now a United Methodist pastor in Belchertown, MA, where she lives with her husband Paul. Between them, they have 4 children and now are enjoying the wonderful world of grandchildren -truly one of the greatest joys of life! I am excited about the possibility of serving as chair-elect for Area 1. Like our own handbell history, handbells started for me here in New England. Learning to play, finding friends and colleagues, working towards goals of excellence together – all of those things changed my life. Truly handbells span all ages, all marks of diversity – and in ringing, we become one instrument. Our world NEEDS handbells and handbell musicians to light the way towards peace and cooperation. It’s exciting that Area 1 has so many wonderful, and wonderfully attended, events throughout New England. Area 1 “does it right”! Over the 6 years I hope you will elect me to serve, I will have an opportunity to work with the many groups represented, and help to coordinate a variety of events, as well as work with amazing colleagues in the handbell world. I love it that handbells isn’t a world of competition, but rather cooperation, as we continue to strive towards excellence, accessibility, and sharing this which we love so much! After I fell in love with handbells, like many of you, I just couldn’t get enough. I’ve attended workshops, festivals, national seminars, and college studies – partly because I love it, but even more now, so that I can share it with others. I trained as an instructor with our national certification so that I could “bring it home” and make the certification more accessible. I believe it will continue to add credibility to our art, as well as continue to improve us as we play together. I bring that training, my time as an educator and as a church musician, and my training at Concordia in their excellent handbell program – and offer that to Area 1. Thank you for the gifts you have shared with me and for opening the world of handbells to me! Thank you for considering to allow me the chance to offer it all back to you! Music has always been an important part of my life. I played handbells in my church youth choir as a teen, and picked it up again as an adult in 2006 under Debra LeBrun. Luckily Debra always took her choirs to Area 1 events, and after my first festival I was totally hooked. A few years later I joined the Lincoln Ringers and subbed in other area choirs. In 2012 I joined the Merrimack Valley Ringers and was a member until we moved to the western part of the state last year. After the kids were in school I went back to work fulltime. I earned an MBA and during my career I worked in finance departments, both for profit and nonprofit. I’ve also always been involved in any community in which I’m a part – volunteering for civic, church, and youth organizations. I’ve served as Treasurer of our church, am currently Treasurer of our home owners’ association in CT where our beach house is, and Treasurer of our condominium complex. I truly enjoy ringing and especially performing and seeing how audiences appreciate our unique sound, whether in church or a nursing home or at a concert. I wish there were more participants since handbells are an instrument you can play with no music background. I’ve seen over and over how beginners get so much satisfaction from being able to perform in a musical piece. Also, the camaraderie among ringers is very special. Handbell Musicians of America and the regional affiliates offer a valuable resource that provides many opportunities to support, enhance and expand our handbell community. I believe in this effort. I think I can contribute by offering my accounting skills to the organization. I’d like to be your Area 1 Treasurer. 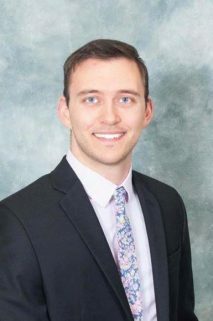 Matthew Sczurek is an advisor at New England Capital Financial Advisors, LLC in Meriden, CT. He holds a Bachelor of Science degree in Finance from Kaplan University and a Personal Financial Planning Certificate from Purdue University. He is also in the process of finishing coursework to attain his Certified Financial Planner® credential. Matt began ringing handbells 12 years ago at St. Joseph Church in Bristol, CT under the direction and tutelage of Jean Degan. He is also currently the newest member of the Shoreline Ringers having begun performing with them during their 2017 holiday season. 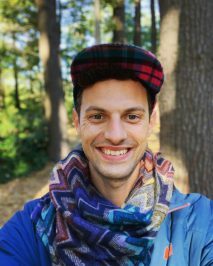 As a resident of Hamden, CT, Matt enjoys cycling and entertaining other musical interests, which include playing piano and french horn. I see the Handbell Musicians of America and Area 1 extending their community impact to reach new musicians, audiences and members while maintaining a culture of fellowship and fun. I believe that I can use my experience as a financial planner and musician to help the organization leverage their resources in a new and meaningful way. Diane Burke was inspired to take up handbells by her mom over 30 years ago. 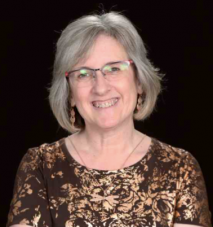 She is honored to be the director of the Joyful Ringers at First Church Congregational in Marlboro MA, the Lincoln Ringers of First Parish in Lincoln MA, and the Sudbury Bellringers of Memorial Congregational Church in Sudbury MA. 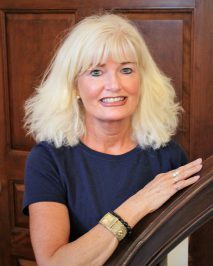 Her groups regularly participate in Area 1 events including our Area 1 Festival Conference, and Diane has taught several classes at Area 1 workshops and Festival. 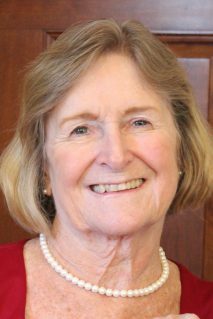 She is a member of the Merrimack Valley Ringers, with whom she’s been ringing since its inception 17 years ago, and she currently serves on the MVR Board. Diane is the current Area 1 Board Secretary, and lives in Marlboro with her incredibly supportive husband Ron and tabby cat Perch. As a member of the Board in this position for the past 2 years, I have been able to see firsthand the passion and dedication that our Area 1 leadership embodies. I can say without equivocation that it is truly our goal to represent the handbell musicians of Area 1 in the best way possible through listening, planning, and thoughtful execution of those plans. As a director of 3 different groups in 3 different locations, I have the rather unique opportunity to receive feedback from 36 handbell musicians at any given time about events and workshops they might attend, and what they feel might enhance their ringing experience. Wearing all the hats of ringer, director, and Board member, I also feel a particular responsibility to make sure I do my part to continue to improve the quality of what we provide at all levels. We all know the teamwork that’s required to be a successful handbell choir, and the Board is no different. I want to continue to be a part of that! My bell ringing career began back in 4th grade, ringing at church throughout high school. In college, there was no handbell ensemble, so I created one, eventually campaigning the school to fund the purchase of a 3 octave set of Malmark handbells. Combined with other 4th and 5th octaves from local churches, plus chimes from Bells of the Cascades in Portland, OR, we played 6 octaves of bells and chimes. I was in five different bell rehearsals a week so I could maintain the relationships to use the lower octaves for an extended period of time! Moving to Massachusetts in 2014, I joined the Back Bay Ringers, eventually becoming the Small Ensemble Coordinator and Treble Section Leader. My experience as trainer and educator in the outdoors, as well as a staffing coordinator for a large, historic non profit has given me particular insight into the workings and machinations of organizations with a clear mission, like HMA. I am excited to bring my communication and organizational skills to the HMA Area 1 Board. I look forward to helping advance the art of handbell ringing and advocating for handbell and handchime ringing in schools, churches, and community groups in the region. As a handbell arranger and ringer, I look forward to being a stronger advocate for the handbell community at the board level.